Accourt is a leading provider of consultancy services to the payments industry worldwide. Among our clients are financial services institutions, payments and technology providers, telecom operators, corporates, merchants, government organisations, associations, and other affinity groups. Alston & Bird LLP is a top ranked international law firm. The Brussels office serves as an international hub for the firm’s Payments practice and, when coupled with the firm’s Payments team in Atlanta — an area regarded as the payments center of the United States — the firm’s Payments practice is able to efficiently serve clients across the globe. Our Payments practice is an industry leader internationally, and has worked on recent payments matters across Europe, the United States, Canada, Mexico, Brazil, China, India, and Southeast Asia. Banking Automation Bulletin is an international subscription newsletter focused on key issues in self-service banking, branch automation, cards and payments. The Bulletin is published by London-based research and consulting firm RBR, and draws extensively on the firm’s authoritative industry research and analysis. The Bulletin is valued by senior executives in over 100 countries worldwide for providing independent and insightful, news, opinions and information on issues of core interest. We are a leading provider of global payments and currency risk management solutions. As a trusted partner for over 20 years, we deliver innovative solutions designed to address our clients’ unique business needs. Our award-winning capabilities and industry-leading technologies simplify the way our clients connect with the global marketplace, allowing them to focus on tomorrow’s opportunities rather than today’s transactions. As one of the largest independent providers globally, we are flexible and responsive anywhere you are, with offices across North America, Europe and Australia, that transact more than $20 billion dollars annually. Learn more about how we can create the bridge between your vision and the world at www.cambridgefx.com. Card & Payments World newsletter has been the most authoritative and independent voice on the global payments industry for over 20 years. We analyse the latest marketing and loyalty initiatives, keep you up to date with technology announcements, customer analytics, card fraud and security issues – plus of course news of what your competitors are doing. We search out the stories you won’t find elsewhere, featuring interviews with industry experts and CEOs, plus country and industry reports with original sourced data. Subscriptions include an online daily news service, email alerts, and monthly printed newsletter. Information: www.cardworldonline.com or email maxine@cm-media.net. 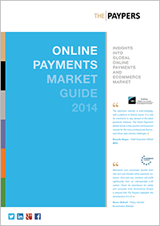 Digital Transactions is the only publication covering the total consumer electronic transactions market (Payments). Published twelve times a year, the magazine, web site www.digitaltransactions.net and Daily email newsletter Digital Transactions News, reach subscribers in financial institutions, retails and ISO. To Subscribe go to www.digitaltransactions.net. To advertise call Bob Jenisch 877-658-0418. Discover Financial Services (NYSE: DFS) is a direct banking and payment services company with one of the most recognized brands in U.S. financial services. Since its inception in 1986, the company has become one of the largest card issuers in the United States . The company issues the Discover card, America’s cash rewards pioneer, and offers home loans, private student loans, personal loans, home equity loans, checking and savings accounts, certificates of deposit and money market accounts through its direct banking business. It operates the Discover Network, with millions of merchant and cash access locations; PULSE, one of the nation’s leading ATM/debit networks; and Diners Club International , a global payments network with acceptance in more than 185 countries and territories. For more information, visit www.discover.com/company. The European Payments Council (EPC) is the coordination and decision-making body of the European banking industry in relation to payments. The term bank is used in a non-discriminatory fashion and includes payment institutions. The purpose of the EPC is to support and promote the Single Euro Payments Area (SEPA). SEPA is a European Union (EU) integration initiative in the area of payments designed to achieve the completion of the EU internal market and monetary union. The jurisdictional scope of the SEPA Schemes currently consists of the 28 EU Member States plus Iceland, Norway, Liechtenstein, Switzerland, Monaco and San Marino. The EPC develops the payment schemes and frameworks which help to realise SEPA. EPC members represent banks, banking communities and payment institutions. More than 360 professionals are directly engaged in the work programme of the EPC, representing all sizes and sectors of the banking industry within Europe. For further information on the EPC please contact secretariat@epc-cep.eu or visit www.epc-cep.eu. Global Vision Group provides world-class consulting expertise to create workable and innovative solutions for enterprises involved in electronic payments value chain. With offices located in the United States and Europe, Global Vision Group serves financial institutions, Payment Service Providers, ISOs, merchants and technology providers. Dedicated to the education and success of the ISO and MLS, The Green Sheet is a semi-monthly resource replete with timely, bias-free coverage of the evolving payments industry. It has more than 25,000 readers who depend on its regular, special and recurring features for information, education and inspiration. IBS Intelligence is the definitive source of news, research and analysis of the international financial technology industry, including treasury, cash management, risk management and payments sectors. We produce a range of reports, guides and other resources, plus our flagship monthly publication, IBS Journal, providing a comprehensive and unbiased view of the industry. We also provide consulting and bespoke research services. We are completely independent and every word of every publication is written by ourselves. We do not accept advertorial or contributed articles and have no ties with suppliers or other third parties. Find out more at www.ibsintelligence.com, twitter @IBSIntelligence. iSignThis offers compliance solutions to Payment Service Providers to meet strong customer authentication to the European Central Bank, Monetary Authority of Singapore, and the Reserve Bank of India’s mandated requirements. These solutions can be deployed at payment gateways, acquirers, issuers and eWallets. Our Merchant Protect product suite offers strong customer authentication that minimizes revenue leakage, whilst providing fraud mitigation and revenue assurance to larger corporates and online merchants. The iSignthis service also includes online, automated Evidence of Identity to assist obligated entities in meeting their customer due diligence/ KYC requirements under Anti-money laundering legislation. The Company is headquartered in Melbourne, Australia, with offices in Bangkok and Amsterdam. ISO&Agent is the merchant acquiring industry’s premier publication, combining timely news and articles on ways to boost revenue with insightful and relevant analysis of long-term trends shaping the industry. ISO&Agent magazine, ISO&Agent Weekly and ISO &Agent Daily reaches over 25,000 subscribers in the ISO market. Look no further than the leading industry publication to showcase your products and services to these influential professionals. No other industry publication comes close to the breadth, depth and quality of our circulation. Please contact Hope Lerman for advertising opportunities, at 312.475.0649 or hope.lerman@sourcemedia.com. The mission of JCB is to delight our customers by creating and providing unique value through high quality payment products, a reliable infrastructure and world class services. JCB recognizes it is our corporate responsibility from a global perspective to ensure our products and services contribute to the betterment of the constituencies we serve. Linda S. Perry is a payments industry consultant. She was formerly Senior Vice President and Head of Acquiring and Processing at Visa, Inc. and has over 30 years of experience in banking and payments. She was named one of the 20 Most Influential Women in Payments by PaymentsSource in March 2013. From major cities to emerging markets, MasterCard stimulates economies and changes the way the world does business. 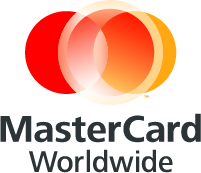 Today, MasterCard is essential to day-to-day commerce. From major cities to emerging markets, we are stimulating economies and changing the way the world does business. We are a critical link among tens of thousands of financial institutions, millions of businesses and hundreds of millions of cardholders. What’s more, we are advancing commerce through innovations that benefit everyone, everywhere. PAY.ON offers white label payment gateway solutions for payment service providers, ISOs and acquirers who outsource their payment processing to accelerate growth. Because every business has different requirements and goals, our modular solutions can be easily optimized to suit every need. PAY.ON’s solutions are designed to enable global payments. Omni-channel payment processing is complemented by sophisticated and robust fraud prevention solutions, and insightful monitoring and reporting tools. Online payments, mobile payments, and mobile point-of-sale transactions are driven through an open payment platform, with guaranteed PCI compliance at all times. The Paypers is the Netherlands-based leading independent source of news and intelligence for professionals in the global payment community. Our products are aimed at merchants, payment services providers, processors, financial institutions, start-ups, technology vendors and payment professionals and have a special focus on all major trends and developments in payments-related industries including online and mobile payments, online/mobile banking, cards, cross-border e- commerce, e-invoicing and SEPA. We also offer the Online Payments Market Guide that puts together a comprehensive overview of the global e-payments ecosystem, mapping out ongoing developments, emerging trends and evolving business models. The Guide is released by The Paypers on an annual basis and is aimed at delivering a state-of-the-art overview of the global e-payments and ecommerce ecosystem. You can download a free copy here. As one of the fastest-growing global acquiring networks in the world, Payvision connects banks, PSPs, ISOs and their merchants to ONE Global Acquiring Platform, based on a non-competitive partnership model in which all stakeholders share revenue, in an expanding profitable cross-border ecommerce market. Payvision is an independent payment solutions provider specialized in global card processing for the ecommerce market, offering a secure, PCI-DSS Compliant and PSD Licensed international payment processing platform, enhanced with innovative technology. Payvision provides its customers 24/7 Support, 150+ transaction currencies and regional card settlement currencies, a high-end reporting interface and a solid risk management solution. At TSYS, (NYSE: TSS), we believe payments should revolve around people — not the other way around. We call this belief “People-Centered PaymentsSM.” By putting people at the center of every decision we make, TSYS supports financial institutions, businesses and governments in more than 80 countries. Through NetSpend, a TSYS Company, we empower consumers with the convenience, security, and freedom to be self-banked. TSYS offers issuer services and merchant payment acceptance for credit, debit, prepaid, healthcare and business solutions. TSYS headquarters are located in Columbus, Georgia, with local offices spread across the Americas, EMEA and Asia-Pacific. TSYS provides services to more than half of the top 20 international banks, and has been named one of the 2013 World’s Most Ethical Companies by Ethisphere magazine. Visa is a global payments technology company that connects consumers, businesses, banks and governments in more than 200 countries and territories worldwide. Visa Inc.’s headquarters are in the San Francisco Bay Area, and we have nearly 10,000 employees around the world. We operate three data centers on two continents. Visa Europe is a separate membership entity that is an exclusive licensee of Visa Inc.’s trademarks and technology in the European region.